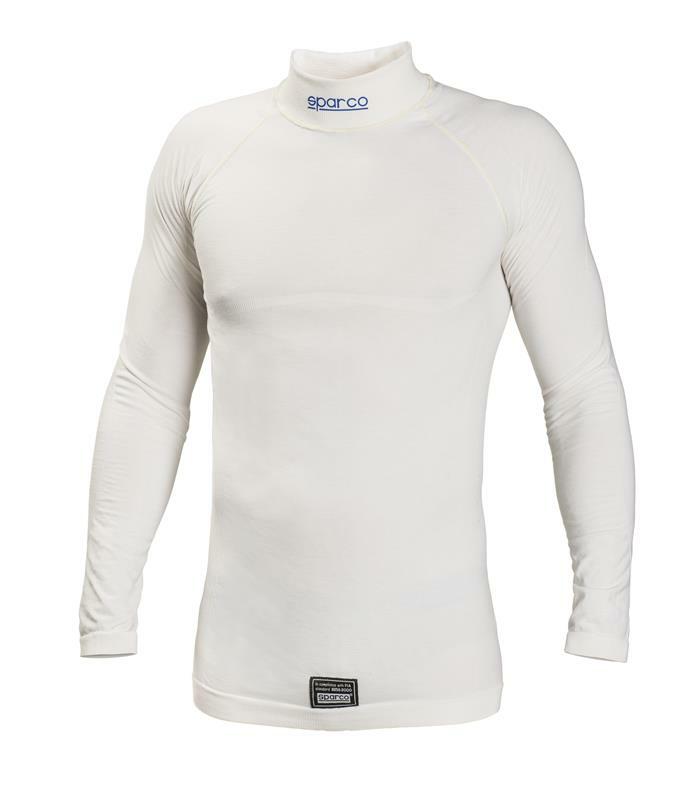 Sparco Racewear - Underwear - Delta RW-6 UNIVERSAL - Dezod Motorsports Inc - Home of the automotive performance enthusiast since 2002. The new Delta RW-6 fabric is made from a mixture of very comfortable, soft fibres by means of a processing method known as “body-size” in which the garment is produced as a single piece item with no stitching at the sides. This type of process means different sections can be made more or less elastic to meet differing needs. The existence of more elastic sections makes the garment more comfortable to wear. COMPOSITION: 50% Flame Retardant Cotton – 50% Modacrylic Fibres. Average weight of fabric 190/200 g/m².